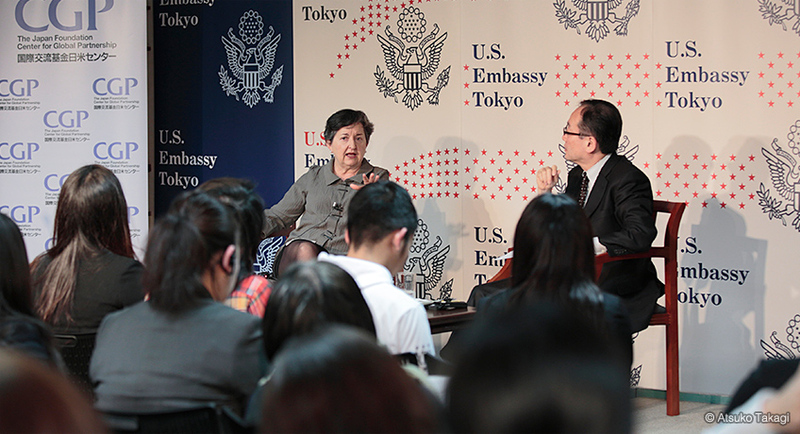 This program supports in-depth coverage of topics of concern to the United States and Japan through individual, short-term, policy-related projects. Supports up to 6 weeks of fieldwork in Japan or the US. Fellows are expected to produce an analytical article or feature story that will inform public debate or a policy community. The Abe Fellowship Program for Journalists is administered by the Social Science Research Council (SSRC), with support and funding from CGP. The competition is open to citizens of the United States and Japan. Nationals of other countries must be permanent residents of the United States or Japan, or have a long-term affiliation with the American or Japanese journalistic communities. Applicants must have at least five years of professional journalistic experience in newspapers, news magazines, wire services, or on-line news organizations. Freelancers are also eligible. U.S.-based applicants with no previous journalistic employment in Japan have priority; Japan-based applicants with no previous journalistic employment in the United States have priority. The maximum stipend is $23,500, which includes one roundtrip air ticket, funding to prepare for overseas fieldwork, and support for interpretation based on requests. Fellows may receive salary from their employers, but cannot carry out assignments while on the award. Fellows are required to attend the Abe Fellows' Retreat in January. The fellowship tenure must begin between April 1 and December 31. Threats to Personal, Societal, and International Security: Especially welcome topics include food, water, and energy insecurity; pandemics; climate change; disaster preparedness, prevention, and recovery; and conflict, terrorism, and cyber secruity. Growth and Sustainable Development: Especially welcome topics include global financial stability, trade imbalances and agreements, adjustments to globalization, climate change and adaptation, and poverty and inequality. Social, Scientific, and Cultural Trends and Transformations: Especially welcome topics include aging and other demographic change, benefits and dangers of reproductive genetics, gender and social excludion, expansion of STEM education among women and underrepresented populations, migration, rural depopulation and urbanization, impacts of automation on jobs, poverty and inequality, and community resilience. Governance, Empowerment, and Participation: Especially welcome topics include challenges to democratic institutions, participatory governance, human rights, the changing role of NGO/NPOs, the rise of new media, and government roles in fostering innovation. For information on how to apply to the Abe Fellowship Program for Journalists, please refer to the Abe Fellowship for Journalists page on the Social Science Research Council website.